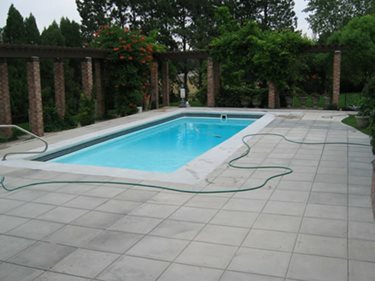 Mike Ferraro of Decorative Coatings and Concrete Company (DC&C) in Aurora, CO recently sent in photos of this pool deck. 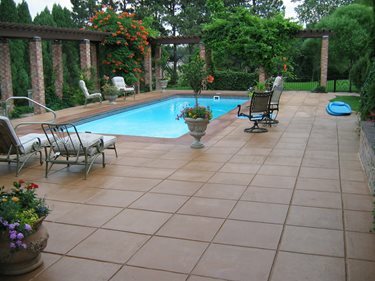 I thought this job came out very nice and it involved a unique use of a mico-topping polymer. We mixed the micro-topping polymer and powder at a 1:1 ratio, normally mixed at 2:1 powder to liquid, and used a roller to apply it. The micro-topping flowed much like paint but gives the appearance of colored concrete, says Ferraro. Indeed the before and after photos below tell the story well.